The relationships we build today enable us to grow in the future. Safety is the cornerstone of our culture. 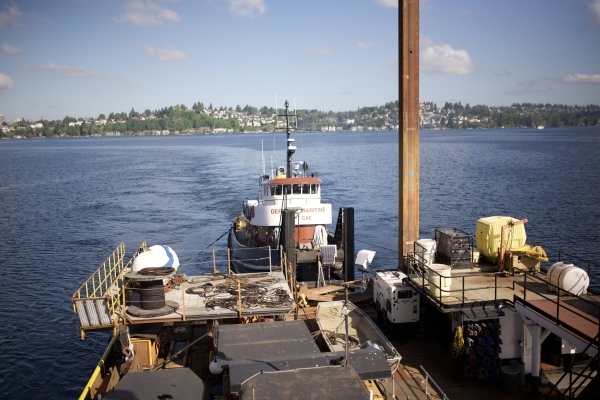 Safety is more than just a policy; here at DeForge Maritime, its a constant conversation. We regularly drill out situations and remain vigilant as dangerous conditions develop. Our Vessel Safety and Maintenance Program provides the guidlines by which we follow, and the crews share a sense of pride in seeing the euipment performing at the highest level. Our customers demand it, and we deliver. We all work as a team when it comes to reaching our goals of on-time delivery. Dispatch is constantly coordinating with crews to ensure all deadlines are met in a way that is both safe and professional. From the crews on the boat, to managment, everyone plays a part in making DeForge Maritime a dependable marine transportation company. Coffer cell leaving Lake Washington. 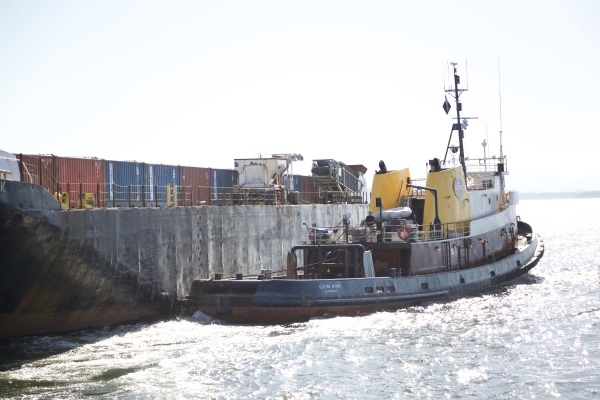 The derrick barge "DB General" under tow. 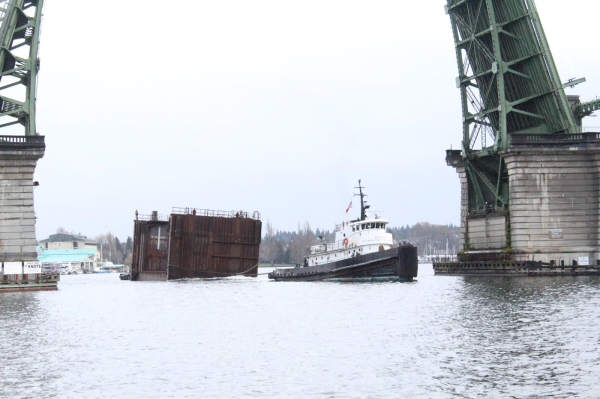 Pontoon leaves Lake Washington, part of the disassembly of the old 520 bridge. Setting up a tandem with the Capt Cae. 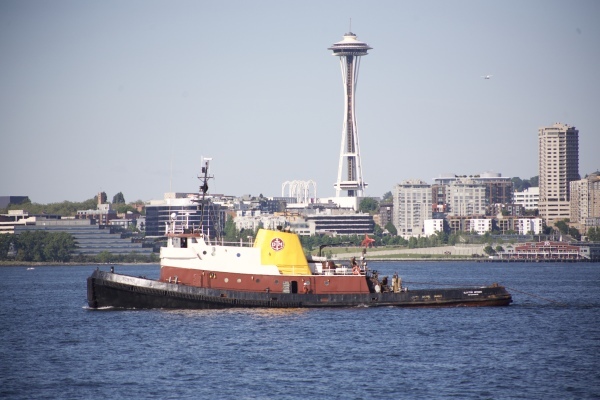 Working with the derrick barge Columbia at the 520 Floating Bridge project. 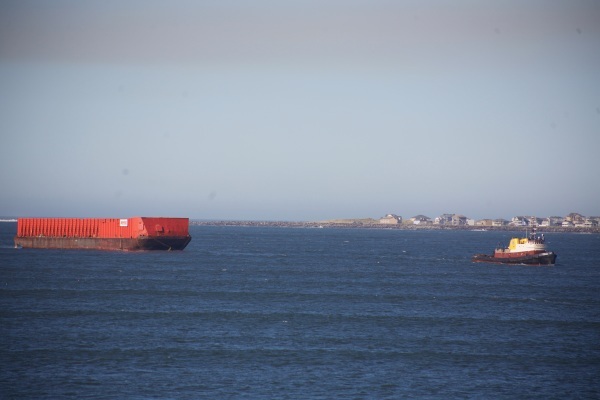 Another barge headed for Alaska.